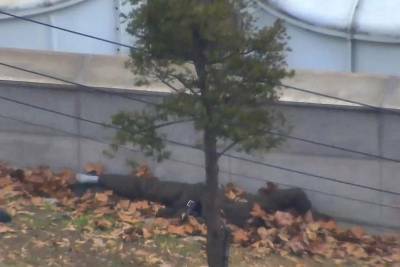 SEOUL, South Korea — It was a dash for freedom that was caught on camera and captivated the world: a North Korean defector being peppered with bullets as he tried to flee his authoritarian homeland. "In their situation I would have fired the gun. It's not a matter of friendship," he told NBC News on Monday, almost 18 months after his dramatic escape. "I understand them because if I were in their shoes I would have done the same thing." It was a time of knife-edge tension on the peninsula. A month before Oh made his dash, Kim Jong Un's regime conducted its most powerfulnuclear test to date. And two weeks after Oh crossed the DMZ, Pyongyang test-fired its second intercontinental ballistic missile, which came down on the other side of Japan. Analysts extrapolated that this rocket was theoretically capable of hitting the mainland United States. The two Koreas are technically still in a state of war since the 1950-53 conflict ended in an armistice rather than a peace treaty. Today, Kim Jong Un's regime is accused of some of the world's worst human rights abuses, controlling almost every aspect of public life and keeping tens of thousands of people in labor camps. A United Nations report in 2014 said that these crimes were "strikingly similar" to the atrocities carried out by the Nazis. "As the situation was urgent, I was not in the right mind while driving," he recalled, watching the footage this week. "I was driving at a very high speed. ... I was escaping." "I did think that I was going to die as I was lying there." His escape bid crunched to a halt yards from the boundary as his jeep became stuck in a ditch. With the chasing North Korean soldiers almost upon him, he climbed out of the car and started to run, the border just yards away. "I was extremely terrified," he said. "I watch this video once in a while and every time I see it, I realize the fact that I am alive is a miracle. Even I can't believe something like this happened. ... I can't believe it's me in the video." 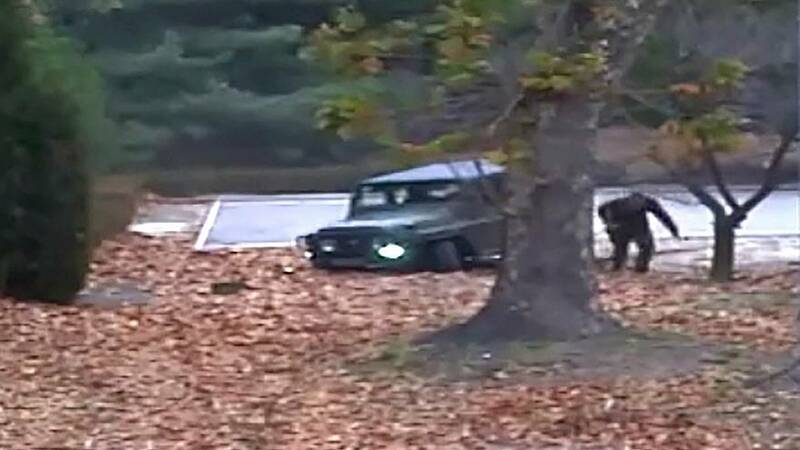 The footage shows Oh running between two trees, just as several North Korean soldiers scramble to take up positions behind him and open fire. The hail of bullets tore through Oh, at least five shots hitting him directly. "I was wearing a padded jacket and the bullet penetrated through here and came out this way," he said, showing the path the bullets took. "Because of that penetration wound, the muscle there was blown apart and I could feel the warmth of the blood flowing underneath me. I still ran." It took a moment for South Korean soldiers to crawl to him and drag him to cover. "I did think that I was going to die as I was lying there," he said. "At this point, when they were coming to rescue me, I was unconscious." Doctors who operated on Oh said it was a "miracle" he survived. They also found parasitic worms as long as 11 inches in his bowel, possibly a result of North Korea's poor food standards and hygiene. Oh, who spent eight years in the military, said his decision to escape was spontaneous. "I crossed the border at 3:15 p.m., but even at that morning I had no thought of going to the South," he said. Among those credited with saving his life was Sgt. 1st Class Gopal Singh of San Antonio, Texas, a member of the medevac crew who flew Oh to a hospital in Seoul, the South Korean capital. "I am truly grateful to him and I hope there will be an opportunity for me to meet him," Oh said. "If I do, I want to thank him in person for everything." Stella Kim reported from Seoul, and Alexander Smith from London.